This piece was inspired by plant life and its ubiquitous presence. Growth and movement are suggested through the shapes, textures and atmospheric lighting. This image functions with dualities and contradictions. 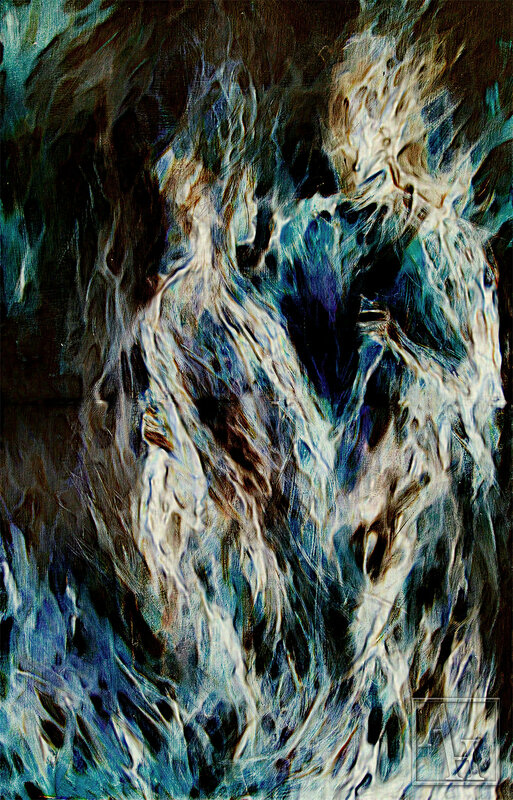 The composition and overall movement of the piece suggests conflict and turbulence. This piece was an exploration of figures in the midst of a dance. The loose nature of the brushwork is meant to illustrate the motion of bodies and the exhilarating emotions that accompany human contact. This piece explores atmosphere, distance and light. The atmospheric quality in this piece gives it mystery and wonderment. This piece was an exploration of figures in the midst of a dance. The cool color palette and more defined textures suggest finality and resolution. This piece creates it own depth and illusion with strong contrast and abnormal shapes. Some of the shapes were derived from jellyfish, roots and seaweed. 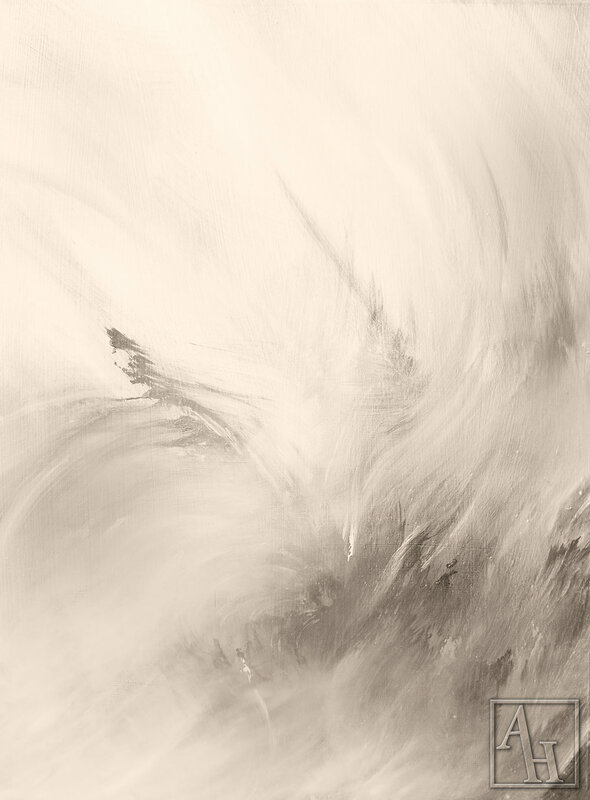 This abstract piece was influenced by the shape and movement of clouds and also water. This piece possesses themes of elevation, progression and growth.